We ran through three practice rounds, presented at our Project, Robot Design and Core Values presentations, and checked out the cool FIRST Tech Challenge displays. Amazing first day at FIRST Championship Houston, setting up our pit area and playing with lots of white LEGO!! The Forces of the Galaxy spent the day travelling to Houston via Dallas. Fun ride on the Skylink! ​ Before updating our team’s story, I would like to thank the UEL community for the support they have given our team last year. Without their encouragement and cheering, we would have never made it to the First Lego League (FLL) Estonia International Open, Jun 06 to 09, 2018. Estonia was pretty cool; it had a medieval theme and was a beautiful country. Of course, since it was our first time going to a foreign country and competing against teams from around the world, the competition didn’t go as well as in BC. We earned 180 points, the highest score the team has ever achieved at competitions, yet ranked 60th in the robot game out of 98 teams. We also presented before panel of judges for Robot Design, Project and the Core Values. 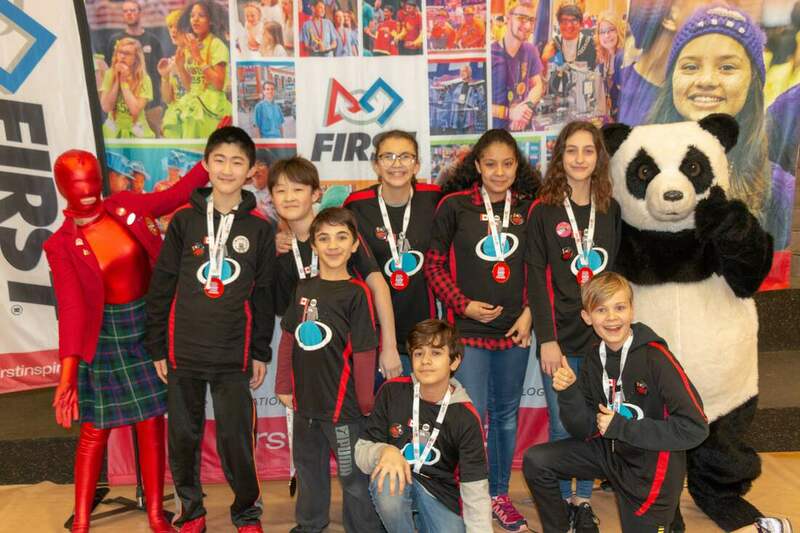 This FLL season 2018-19 has been great. We changed our name to the Forces of the Galaxy because of the space theme "Into Orbit". At the beginning of the season, I was not officially in the team due to the other commitments that I had to do for my school program. A cultural exchange trip to Quebec was supposed to leave before and to return after the BC Championship competition on February 02, 2019, so I decided to support and help my team mates from the sidelines instead. For the Endorsed Regional Lower Mainland FLL Tournament at North Surrey Secondary School on December 01, 2018, I just participated as a spectator. I saw the team do really well in the Robot Game, Core Values and Project presentations. In the end, they won the Project Award. After a few weeks, I learned that the school exchange program was delayed by one week, allowing me to be available for the team during the Provincial Competition. I was then invited to rejoin the team, and I gladly accepted. Since I worked with the team multiple times, I fit in pretty well. Two weeks later, we received an email confirming our choice to take part in Turkey or California International Open competitions, as 2nd Champion Award winners. Our parents voted on it, and California was chosen. 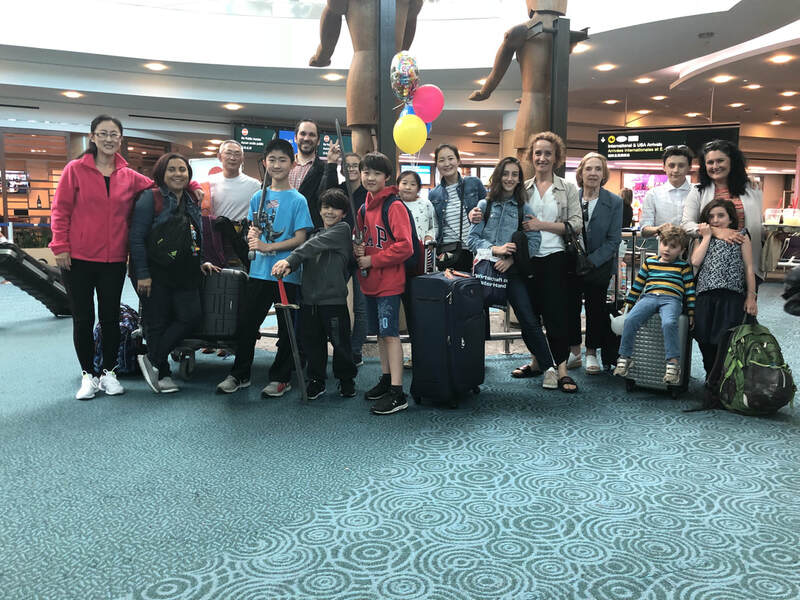 However, soon after planning the preparation of the California trip, we received an email stating that our team would not be able to join because of a mistake on the process of registration of team. Due to unfinished and ongoing construction at the competition venue, they had to cut short the numbers of contestants. We were heartbroken not being able to participate at the international competition this year, and just went on with our lives. Yet obviously, our adventure didn't end there. Three weeks later, we got another email (I know, so many emails!) asking us to attend the FIRST World Championship in Houston, TX to represent BC at the competition. We were very pumped and excited, but of course, there was a catch. Our robot’s attachments had already been dismantled, so now we need to rebuild all our attachments and reprogram the robot for the robot game in less than 3 weeks! We are hard at work, needless to say. Soon after the North Surrey Regionals Competition, our team presented our project to the public at the McMillan Space Centre. 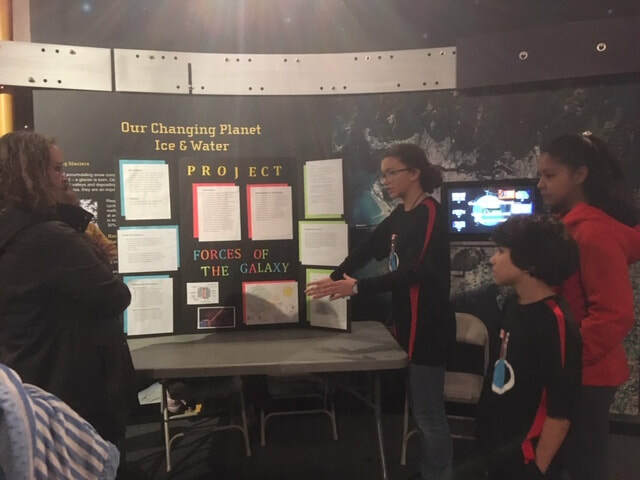 Sharing our ideas with the public was not only part of the criteria of the project, but also a good way to make sure things made sense to people who were not scientists, astronomers, or engineers. The guidelines for an FLL project are as follows: 1) find a problem within a specific area of study; 2) identify existing solutions to the problem and if they can be improved upon; 3) creating your own innovative solution or an improvement to an existing solution; 4) ask an expert if your solution is viable; 5) share your solution and problem with the general public. For our project, the problem we chose to solve was that most spacecrafts (including the ISS) are powered by solar panels, which is an efficient and cheap way to power the crafts, except for when traveling long distances. Any solar powered spacecrafts that attempt to go beyond Jupiter and Saturn (AKA past the “edge of sunshine”) would lose power because at that point the spacecraft is too far away from the sun. This makes any long distance travel to the far reaches of our solar system (when specifically using a large spacecraft, such as one to carry humans) very difficult. Use of lasers to beam photons from Earth to solar arrays on spacecrafts and probes: using this technology, NASA hopes to be able to beam light to solar powered spacecrafts and probes as far as halfway to Alpha Centauri. To simplify, they basically want to shoot lasers at a spaceship. The issues with this, however, are that the laser won't be able to shoot a straight beam through the atmosphere, due to atmospheric distortion. Even if one puts the laser machine on the moon, getting all the heavy equipment up there alone would make the solution far too complicated. One other solution that is used today for space probes is the RTGs (Radioisotope Thermoelectric Generators) which is a form of nuclear technology that uses the radioactive decay of fuel which produces heat to make electricity. Although RTGs are useful for space probes to Mars, for long distance travel (such as Jupiter and beyond), they provide barely enough power for any long trips much less a large spacecraft requiring life support systems for humans. The innovative solution we came up with, is to have a series of paired mirrors orbiting the earth so that they can reflect the sun’s light in a mostly concentrated beam towards any spacecraft in need. There would be multiple sets of mirrors orbiting the earth so that any spacecraft no matter on what side of the earth, can be reached by the beam. The mirrors would be controllable from N.A.S.A. via satellite or from the ISS so that they could be adjusted to stay in orbit. We reached out to a former NASA astrobiologist, Carl Pilcher. From our conversation we understood that, since the mirrors for our idea should be comparable in size to the solar panels on the ISS to collect the same amount of energy, our idea was in fact feasible. He alerted us to a potential problem regarding the spacecraft’s heating and telecom systems, which would require more power than on the ISS due to the greater distance from Earth. If this problem is overcome, our idea is worth pursuing further. Our experience at the McMillan Space Centre was very beneficial, and by presenting we learned what things to modify or look for. As we spoke to the people that came up to our booth, we learned how to simplify and explain the project better, what things we should look deeper into, and some even suggested alternative uses for our solution that we never thought of, outside of the intended purpose. At the Regional Tournament on Dec 2, 2018, we received the Project Award, which came as an exciting surprise. Although we did not know what to expect, it was very satisfying to know we had done a good job and our effort was recognized. And we're back in Canada! Our second day at the Estonia Open International Competition didn’t go the way as we planned. Let’s just say on our first run everything failed. The reason was because of the fact that we didn’t have time to set up everything and our big attachment didn’t go fully to the end. After the first run we went to the judging room for project and core values presentations, which went really good. The judges really enjoyed our presentation I believe. Our second run was better, with a score of 70 points, which in our opinion knew that we could do better. Everything is now depended on our last robot run. Today our team went to the first day of the Estonia Open International Competition. There we set up our pit station. Later we had our first practise run, which went pretty well. After that we had our 0 round. A 0 round is just a practise run that is timed, but not scored. That went pretty well to. Tomorrow our team will start the first 2 real robot runs, our project presentation and our core values presentation. Hopefully we will score well in our robot runs.